Melissa Ordway is one celebrity mother that has every reason to be proud of her family. That’s because they are incredibly adorable! The Young and the Restless star recently shared a new snap of her two daughters, Olivia and Sophie, getting ready for the Super Bowl on Sunday evening. Melissa is best known for her role as Abby Newman on the hit CBS soap. Melissa shared a photo of both girls decked out in their “baby jerseys.” One was for New England Patriots star Julian Edelman and the other was for quarterback Tom Brady. If that weren’t enough, the pic was photobombed by their family pup in the background. Of course, there were some L.A. Rams fans who didn’t appreciate Melissa rooting for her beloved New England Patriots, but the cute pic seemed to make up for it! Clearly, it was a celebratory win for the entire family. It’s without a doubt that Melissa’s fans just can’t get enough of these two cuties! Plus, both girls look so much like their beautiful mom! 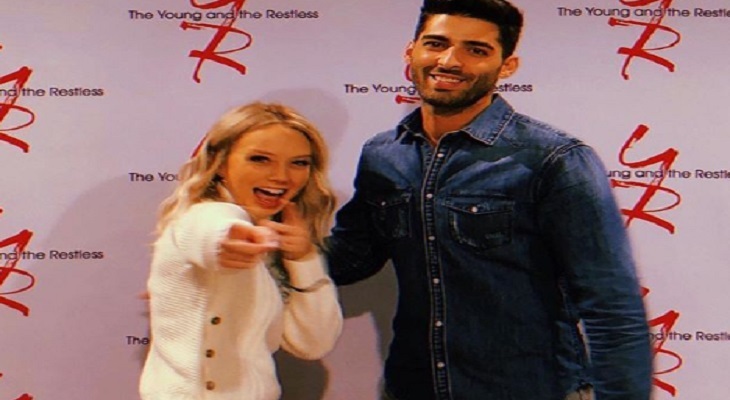 While there’s no doubt that Melissa loves being on The Young and the Restless, there’s one role that she loves even more: being a mom.